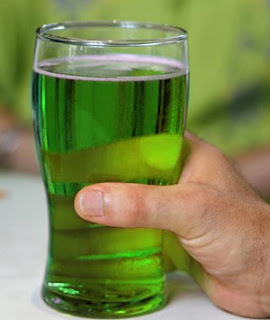 If you didn't raise a pint of green beer for St Patrick's Day, or you're already impatiently counting down the days till next year, you might be surprised to learn your next green drink could be sooner than you think. Every month, in cities around the world, thousands are meeting up for Green Drinks. Admittedly the drinks aren't usually green, but the conversations are. Green Drinks is a social happy hour taking place in an ever increasing number of cities around the world (currently 355 according to their website) bringing together people who care about being green. I must admit that I haven't been to a Green Drinks recently due to another socially responsible architectural pursuit, however I was always pleased by the dynamic turnout at the happy hours I have attended. While that city's Green Drinks was sponsored by the local AIA chapter (a good way to save some green too), I was pleased to meet a diverse crowd of students, professionals and regular citizens. Some people were simply curious, and others found it enjoyable to finally meet other people who "get it". I met a homeowner looking for ways to improve her home, and an engineer who was looking for ways to convince his boss that going green was smart business. Sometimes it was just people who wondered why so many of us were crowded into the balcony and having such a good time in an otherwise empty bar. Thankfully my previous scheduling conflict has changed, so when Green Drinks is in my city next month I should be able to attend. I hope I see you there.